The tipping point for laptop sales has been reached, with more people worldwide now buying laptops, notebooks and netbooks than those buying traditional desktop computers. The findings come courtesy of research firm iSuppli. 2008 has been a particularly good year for inexpensive laptop and netbook sales, further pushing the desktop computer into the past. iSuppli calls the moment nothing less than a "watershed event in the history of the industry," with worldwide notebook sales of 38.6 million nudging ahead of global desktop PC sales of 38.5 million. "Momentum has been building in the notebook market for some time," states iSuppli's report, adding that this is a "major event in the PC market" taking us into "the age of the notebook." 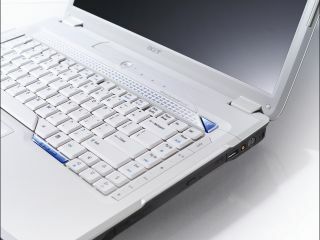 Netbook manufacturers such as Asus, Acer, MSI, Samsung, Dell, HP and others will all be pushing faster, cheaper (credit crunch 'friendly'), better netbooks in 2009. Plus, those rumours that Apple is prepping a small form factor computer to join the throng just refuse to go away. 2009 is already shaping up to be the year of the netbook. TechRadar looks forward to bringing you all the news on the latest in mobile computing from CES in Vegas next month.